DCW Editions Paris – Here Comes the Sun, Designed by Bertrand Balas in the spring of 1969, the Here Comes the Sun hanging lamp takes on a magical quality once illuminated. Darkness loses its rawness and metamorphoses into something reassuring. Here Comes the Sun is available in combinations of black, white and copper. 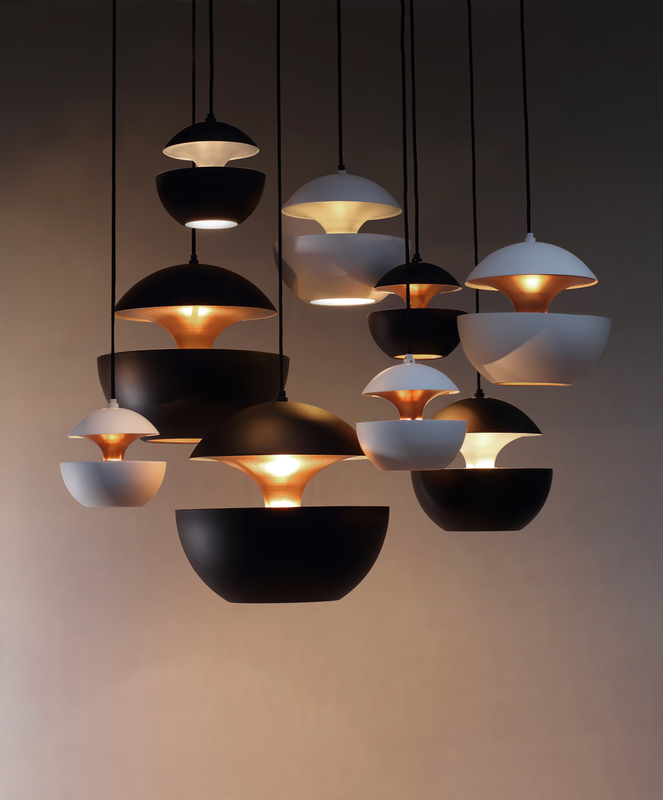 Axo Light – Fedora -The Fedora provides a contemporary reinterpretation of the traditional design of Russian dolls. 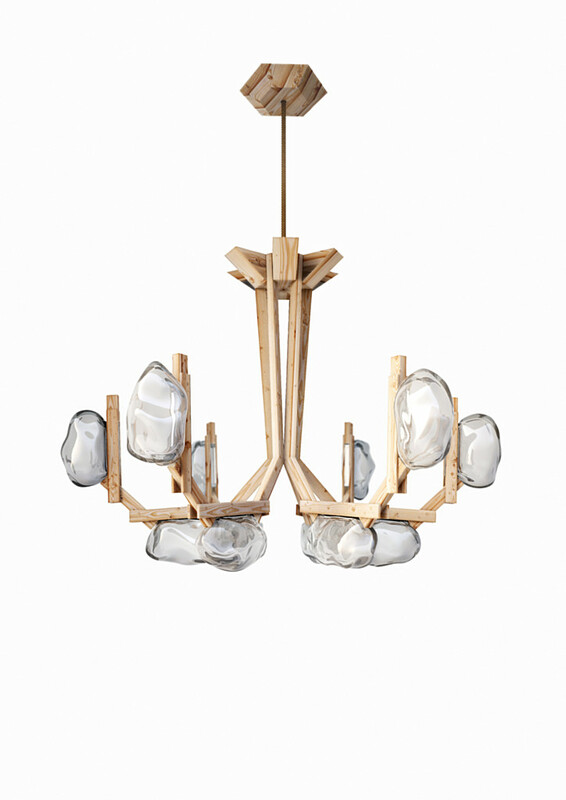 Designed by Dima Loginoff, the unusual combination of metal with decorative cut glass creates a timeless classic. 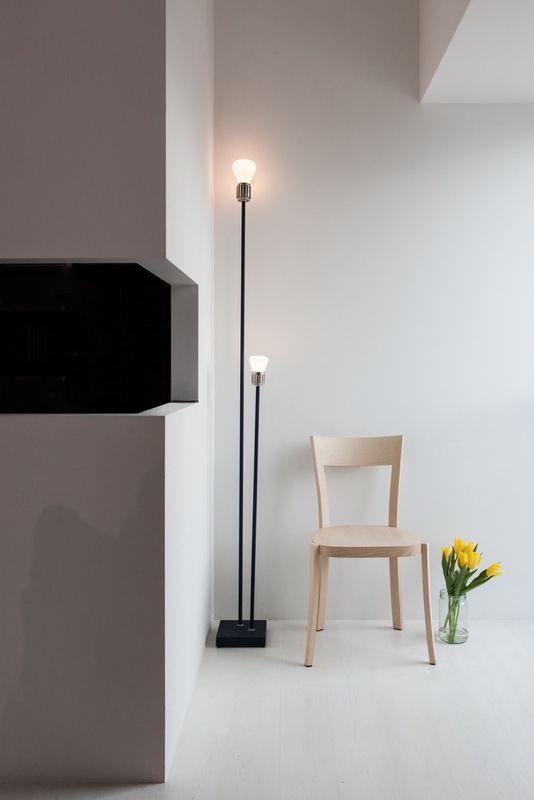 Flos– Captain Flint -The Captain Flint lamp is designed by Michael Anastassiades to be an up-lighter illuminating the space with ambient lighting, while at the same time it may be rotated and directed down; to become a dim companion for reading. The notion of balance is prominent in its form, a cone resting delicately on its point on a rotating horizontal metal rod. The base is in marble, bringing an element of stability and strength. 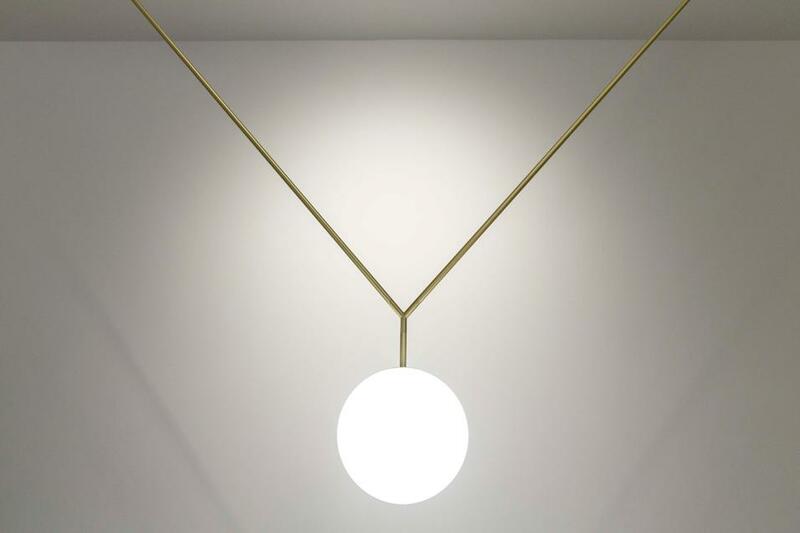 Flos– Notch – Michael Anastassiades’s Notch pendant is designed as a piece of jewelry. 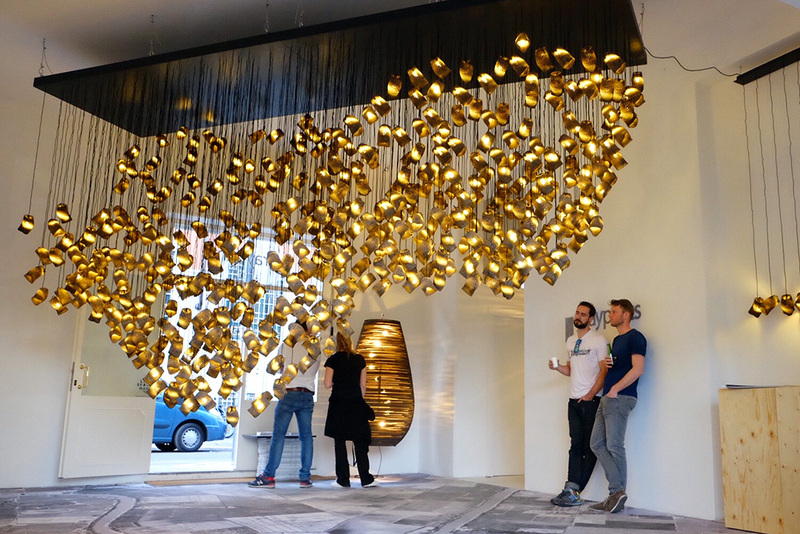 Based on the definition of pendant, ‘a piece of jewelry that hangs from a chain worn round the neck’ and ‘a light designed to hang from the ceiling’. 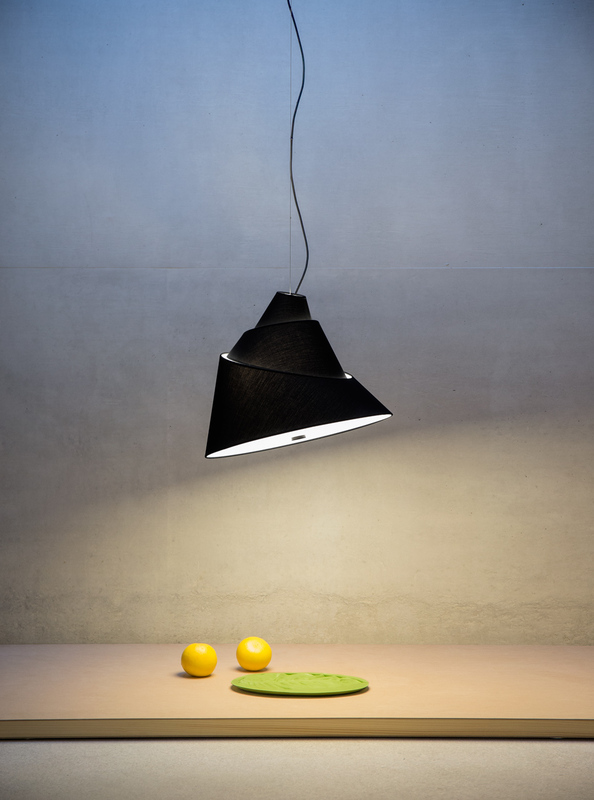 Notch is a suspension lamp with adjustable height, regulated by varying the angle of the braces. 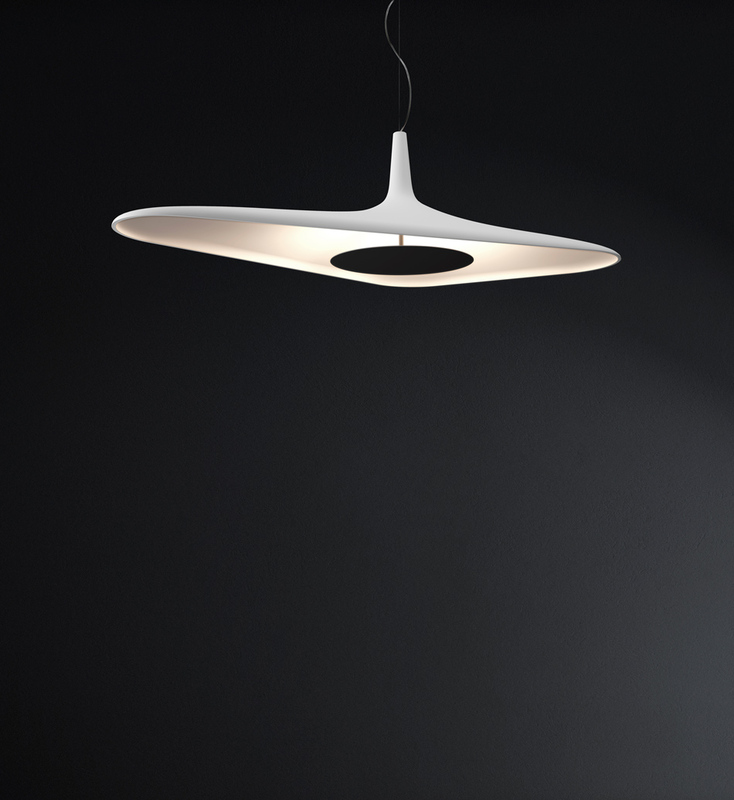 Flos– Serena -The Serena family of lamps is characterized by round or oval leaf-shaped diffusers, where the light source evokes the pistil of a flower. 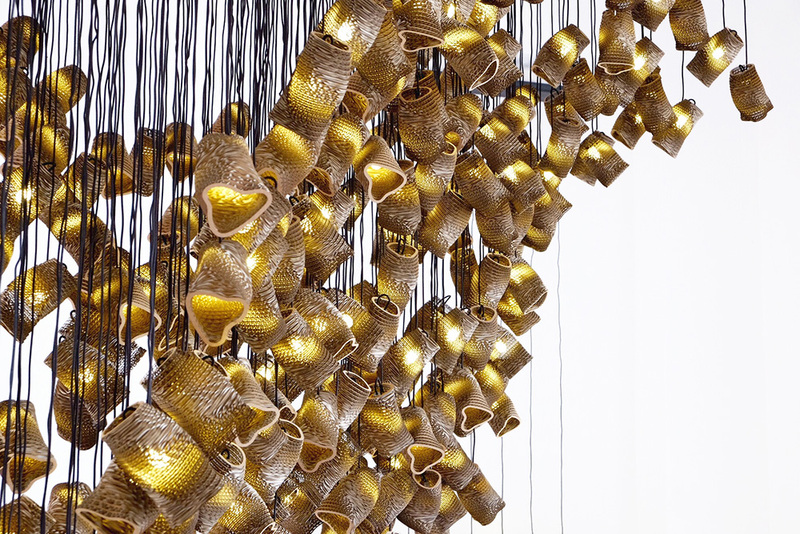 It is inspired by the natural world, by leaves of different shapes and colours. Designed as a floor-standing, table, applique and branch-like suspension lamp and conceived by Patricia Urquiola in refined materials and finishes: copper, gold, wood, polished aluminum or matt white varnish. 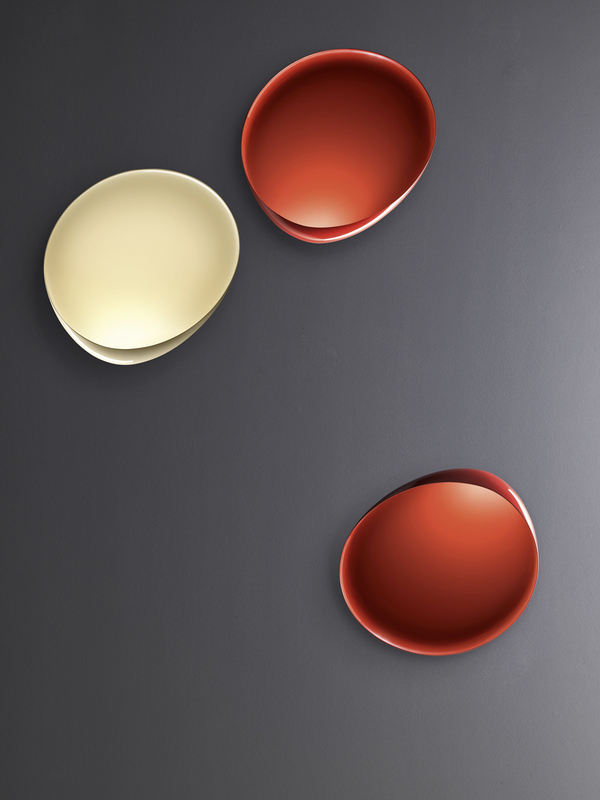 Foscarini – Lake. A dense ink stain that spreads in water, the overhead view of a lake, with an irregular profile just like many of the shapes we find in nature. 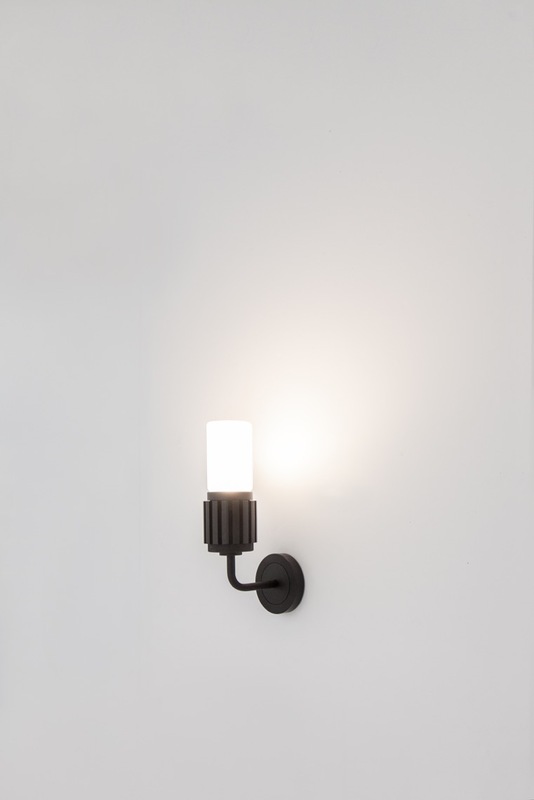 These are some of the pictures that spring to mind when we look at Lake, the new wall lamp designed by Lucidi Pevere, which stands out for its organic, asymmetrical shape filled with colour. 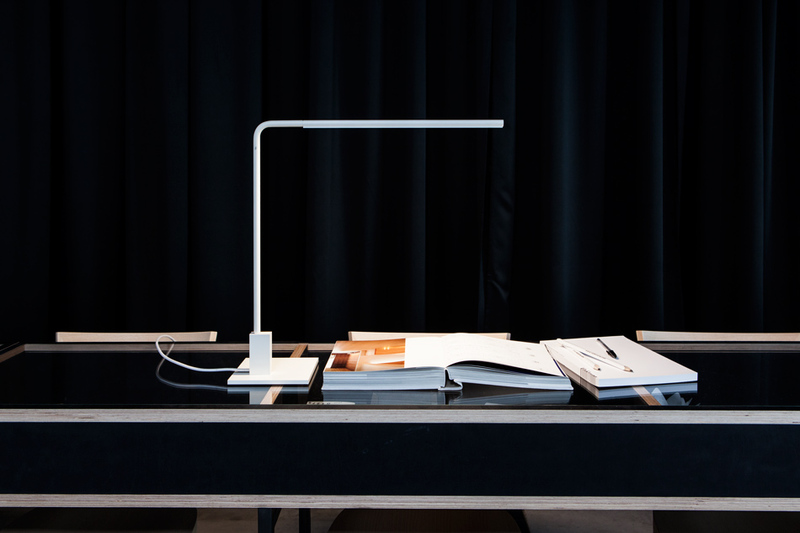 The slim space tucked within the bent edge of the lamp accommodates and conceals the LED light source, which casts a fluid light inwards, shining along the glossy surface. 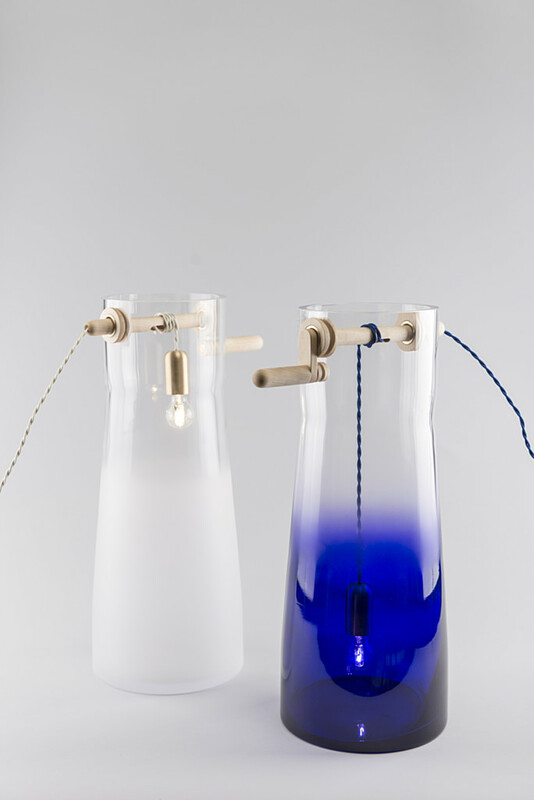 Lasvit – Well .Designed by Stefan Nosko and Katarina Belickova, the Well lamp is inspired by traditional water wells. It takes the idea of a simple wooden handle mechanism winding a rope and a lowering a bucket into the water and applies this to light. When lowered the light changes through a blue gradient while in a second option it changes through a sanded matte finish. 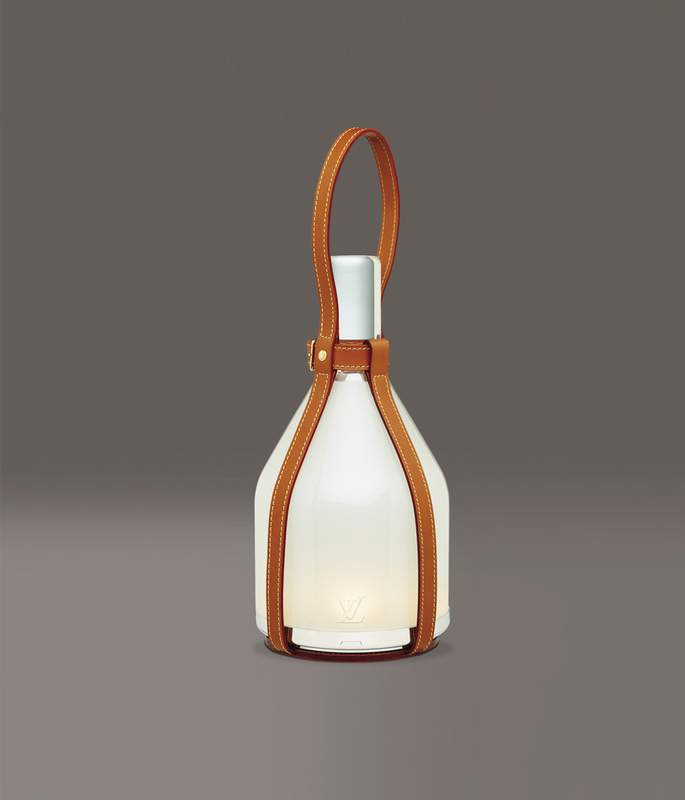 Louis Vuitton – Bell Lamp Inspired by Louis Vuitton’s history of travel, the Bell Lamp is a re-imagined, modern-day lantern. 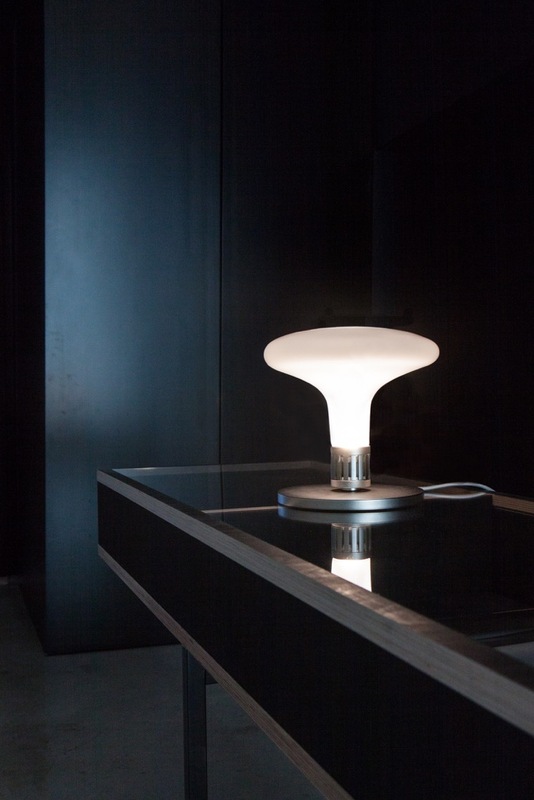 It is handmade in Venice by glass experts and then assembled with pioneering technology to allow it to be recharged by sunlight, as well as conventionally. 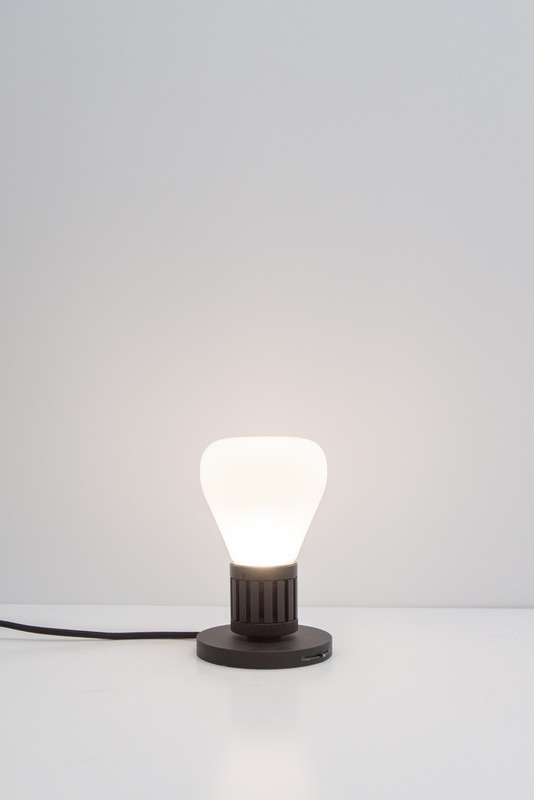 Designed by Barber & Osgerby, the Bell Lamp is practical, cordless and solar-powered, can be easily carried anywhere and everywhere, whether down the garden or out into the wilds. 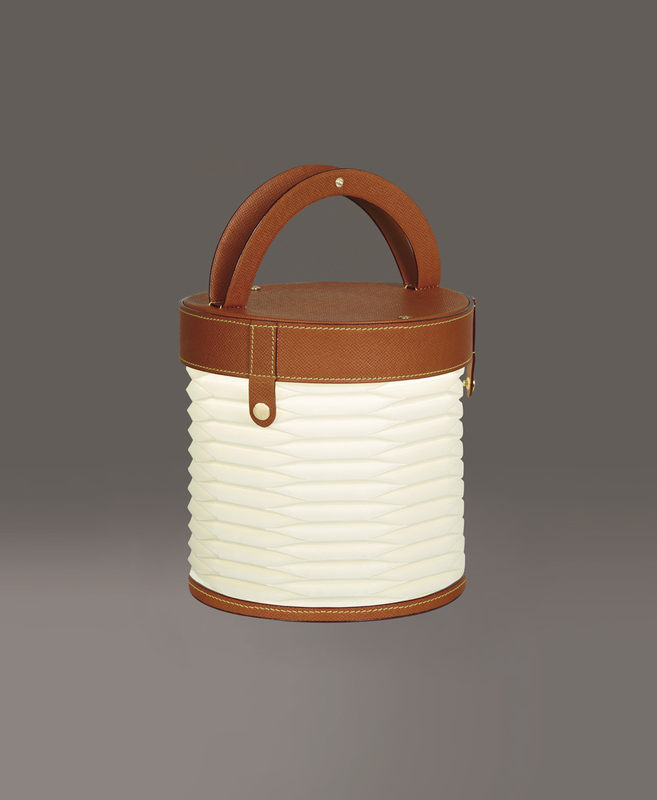 Louis Vuitton – Miller Lamp The Miller Lamp designed by Gwenael Nicolas is small enough to pack into any bag and strong enough to accompany even the most intrepid voyages. Its discreetly elegant looks –inspired by details of Louis Vuitton maroquinerie– are matched by its ease of use: simply stretch the Miller Lamp’s caramel grained-leather case to reveal a shade of folded fabric that softens the light of the rechargeable LED hidden within. 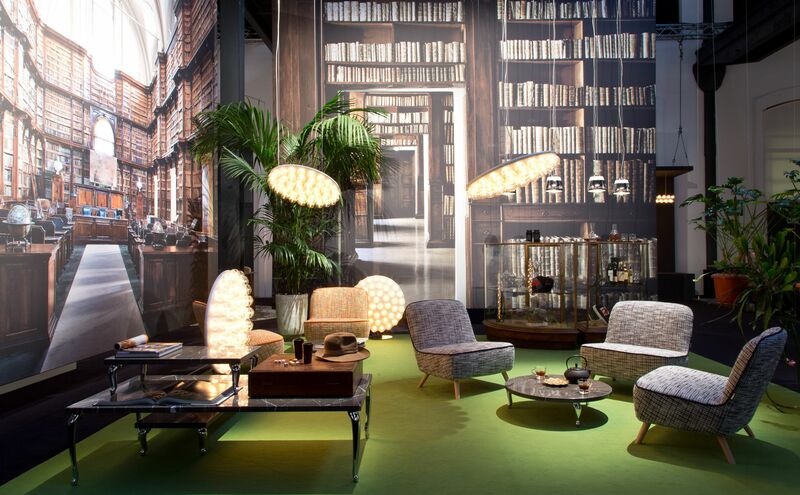 Moooi – Prop Light .The Prop Light is designed by Bertjan Pot to be used in many applications, whether you prop it up against a wall, hang it from a ceiling or stand it against a wall. Prop Light is equipped with a comfortably warm LED light source, spread by a specially developed optics. All versions are dimmable. 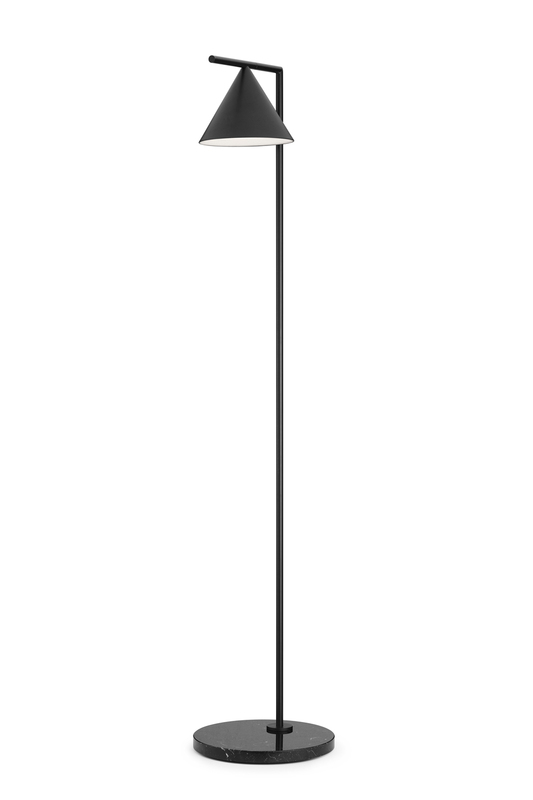 Oluce Las-376 designed by Mist-o is a striking architecturally inspired direct and indirect floor lamp. 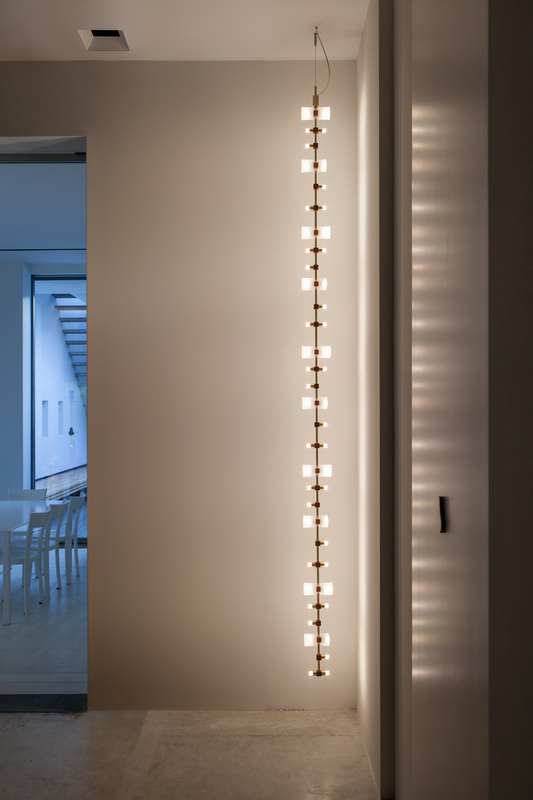 Subtle concealed LED lighting interacts with the frame for unusual patterns of shadows and light. Dual switch controls. Vertigo Bird – Babel – Inspiration for the luminaire Babel, designed by Fabien Dumas comes from the biblical story about the Tower of Babel. 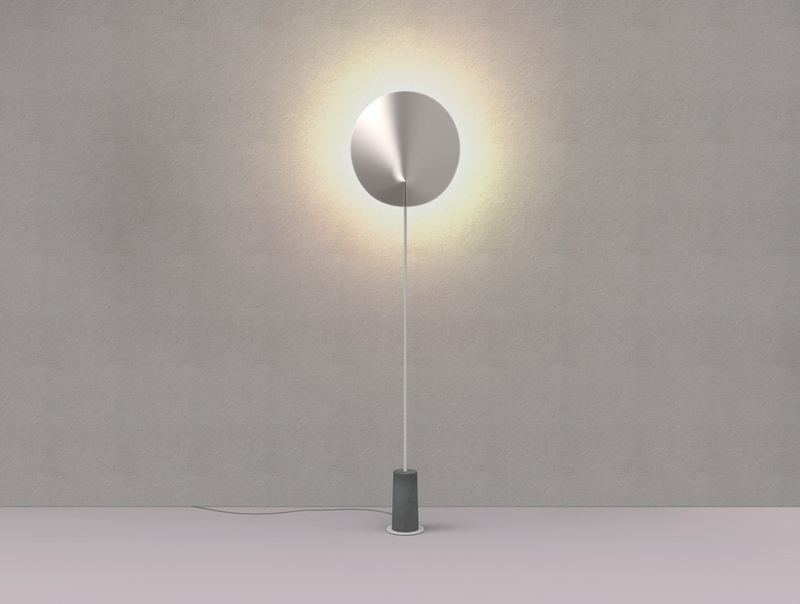 You can turn every shade and when you do, the shape and angle of the light changes. It turns very smoothly with just one touch. The complete range is available in black washable textile. Vibia Curtain -Designed by Arik Levy, the Curtain can be used in a myriad of ways; as a suspended chandelier of hanging light planes, an installation within a reception or public space or equally as a floor to ceiling partition system for office and professional spaces..
Viabizzuno – La villa Designed by Alessandro Fantetti for Bottega Veneta, this table light features a USB port fixed on its steel base to allow for recharging mobiles batteries, tablets or any device that uses a USB to recharge. 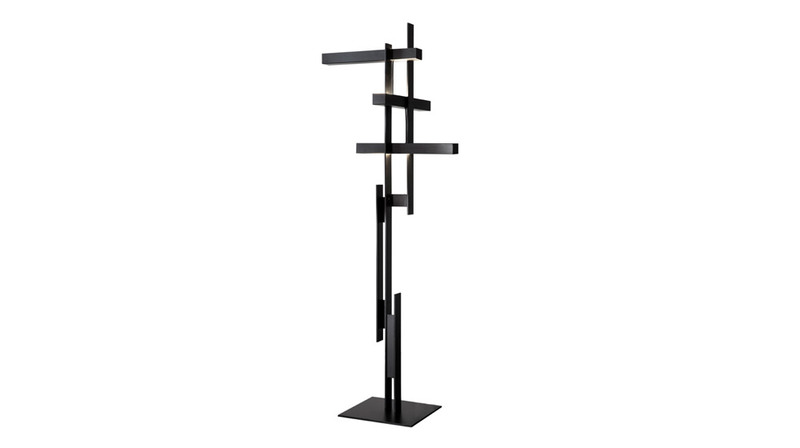 It is available in a white painted finish or an oxidised black finish. 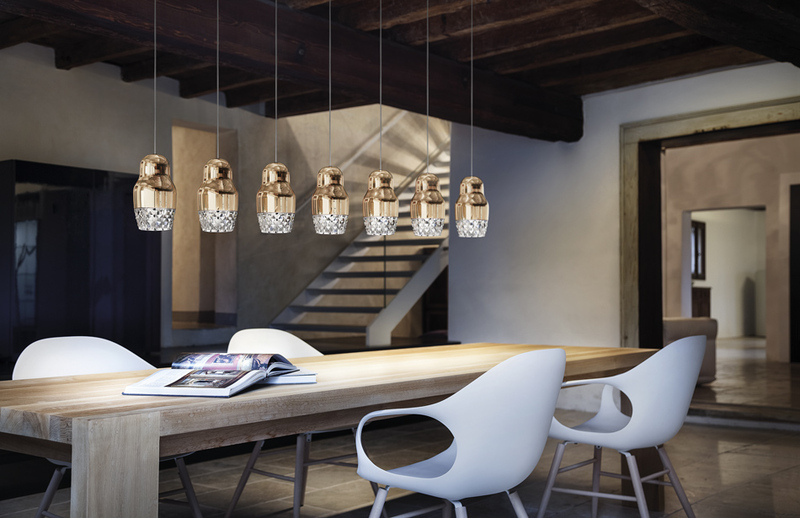 Viabizzuno – Sempre Mia Designed by Mario Nanni, this decorative hanging lamp for interior use is produced with natural brass profiles and small frosted glass cups and transparent methacrylate diffusers. Viabizzuno – Tubino Tavolo Designed by Mario Nanni, this dimmable table lamp for interior use takes inspiration from the traditional bankers light and is available in a range of metallic finishes. 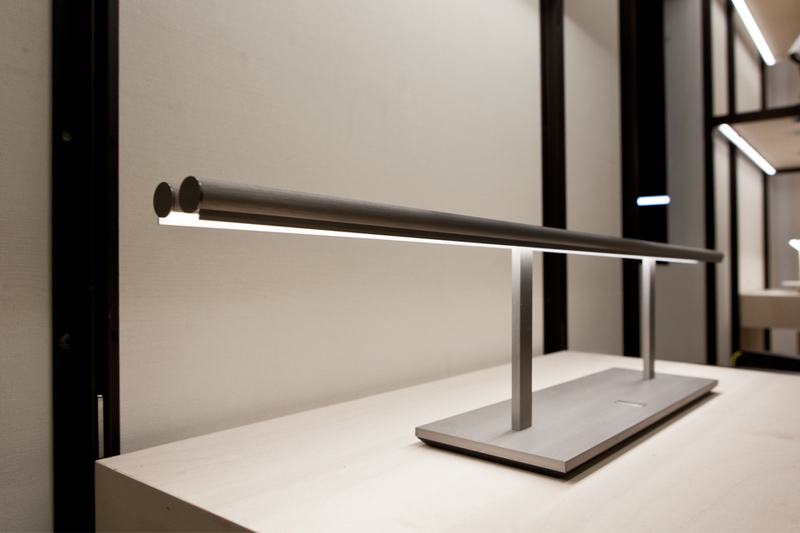 Viabizzuno – N55 Tavolo and Suspension The N55 light bulb, developed by Mario Nanni, merges quality, ecology and research. 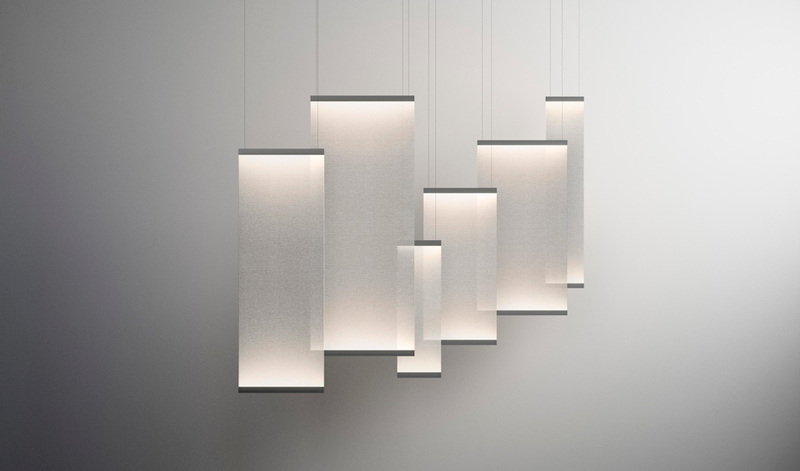 This new lighting system reaches the highest levels of technical performance, environmental sustainability and design. The decorative light bulbs, are the result of the creativity of some of the greatest masters of contemporary architecture, including Peter Zumthor, Kengo Kuma, David Chipperfield and Winy Maas.